This article was last updated Jan 30, 2019, but some terms and conditions may have changed or are no longer available. For the most accurate and up to date information please consult the terms and conditions found on the issuer website. The Ink Business Unlimited℠ Credit Card is a good option for business owners looking for a cashback credit card to boost their bottom line with a $0 annual fee. This credit card has everything that’s most appealing to companies — the chance to earn unlimited cash back at a flat rate, a nice sign-up bonus and good intro purchase and balance transfer APRs. Plus, there’s flexibility in how you can redeem the cash back you earn on the card. Businesses need credit cards to manage their expenses and operations. We’ll explore what you get with the Ink Business Unlimited℠ Credit Card, and we’ll compare it to what’s offered by the SimplyCash® Plus Business Credit Card from American Express , a card that could be a solid alternative. Flat rewards rate. Earn unlimited 1.5% cash back on every purchase made for your business. Because of this card’s flat rate, you can focus on running your business, rather than trying to remember which spending categories earn higher cashback rates. Favorable intro APRs. The card has a purchase intro APR of 0% for 12 Months (after, 15.49% - 21.49% Variable APR). Redemption flexibility. 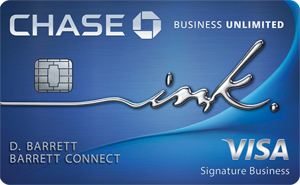 The cash back you earn on the Ink Business Unlimited℠ Credit Card can be used for cash, gift cards and products or services for your business at the Chase Ultimate Rewards® website. Your rewards are also good at Amazon.com, including taxes and shipping. Combine your rewards. If you have one of three other Chase cards — Ink Business Preferred℠ Credit Card, Chase Sapphire Preferred® Card or Chase Sapphire Reserve® — you can combine the rewards you earn on them with the cash back earned on the Ink Business Unlimited℠ Credit Card. Convert your cash back into points and use those combined rewards to receive more value when you use them for travel on the Chase Ultimate Rewards website. You’re protected. If your business has you on the road regularly, the card has you covered with travel and emergency assistance services, auto rental collision damage waiver and roadside dispatch. It also comes with purchase protection and an extended warranty. Free employee cards. You can add your employees as authorized users that can help your businesses’ cash back rewards grow faster. Limited sign-up bonus. Earn $500 bonus cash back after you spend $3,000 on purchases in the first 3 months from account opening. The spend required to earn this card’s bonus is pretty steep compared to other cashback cards, so make sure you’re able to pay it off quickly. Lower rewards. 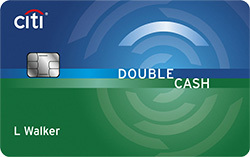 There are competing no-annual-fee business credit cards — including the Ink Business Cash℠ Credit Card, The Blue Business℠ Plus Credit Card from American Express or the Bank of America® Business Advantage Cash Rewards Mastercard® credit card — that offer higher cashback rewards in spending categories important to businesses. Meager travel perks. Some businesses might want more travel insurance benefits, such as trip delay, trip interruption or lost baggage. Pay the fees. 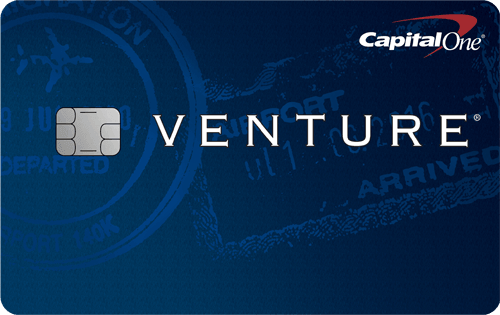 Every time you swipe this card outside of the U.S., it will cost you 3% of each transaction in U.S. dollars. And a balance transfer will cost you Either $5 or 5% of the amount of each transfer, whichever is greater.. Rewards Earn unlimited 1.5% cash back on every purchase made for your business 5% cash back on wireless telephone services purchased directly from U.S. service providers and U.S. office supply stores, 3% cash back on the category of your choice from a list of eight, 1% cash back on other purchases. 5% and 3% apply to the first $50,000 in purchases per calendar year, then 1% applies thereafter. Foreign transaction fee 3% of each transaction in U.S. dollars. 2.7% of each transaction after conversion to US dollars. If you’re looking for a splashy offer to lure you in, you won’t find one with this card. Instead, it offers top cash back in categories that are important to businesses. Earn 5% cash back on wireless telephone services purchased directly from U.S. service providers and U.S. office supply stores, 3% cash back on the category of your choice from a list of eight, 1% cash back on other purchases. 5% and 3% apply to the first $50,000 in purchases per calendar year, then 1% applies thereafter. The eight categories are: airfare purchased directly from airlines; hotel rooms purchased directly from hotels; car rentals purchased from select car rental companies; U.S. gas stations; U.S. restaurants; U.S. purchases for advertising in select media; U.S. purchases for shipping; and U.S. computer hardware, software and cloud computing purchases made directly from select providers. You can only choose one category a year in the 3% cashback category. Once you hit the card’s eligible purchase yearly cap, the cash back falls to the bottom rate, which is lower than the flat rate offered by the Ink Business Unlimited℠ Credit Card. Cash back earned is automatically credited to your card statement. While the card doesn’t come with a way to do balance transfers, it does come with an intro purchase APR of 0% on Purchases for 15 months (After, 14.49% - 21.49% Variable APR). This is better than the Ink Business Unlimited℠ Credit Card. The SimplyCash® Plus Business Credit Card from American Express allows cardmembers to spend above its set spending limit and still earn cash back, with no fees. However, this benefit isn’t unlimited and will take card use, payment history, credit record, financial resources and other factors into consideration to determine how much more spending above your credit limit will be allowed on the card. The card comes with more travel and protection perks than the Ink Business Unlimited℠ Credit Card, including travel accident insurance, baggage insurance plan, car rental loss and damage insurance, roadside assistance, the Global Assist® Hotline, extended warranty, purchase protection, Entertainment Access® and Amex Offers for shopping, dining, travel, and more. But you will pay a foreign transaction fee of 2.7% of each transaction after conversion to US dollars. The SimplyCash® Plus Business Credit Card from American Express not only offers free employee credit cards, it also comes with these business tools: a designated account manager; the spend manager feature that lets you add receipts and notes to your transactions either via desktop or your mobile device; the ability to link you card to your QuickBooks account; set account alerts; and receive a year-end spending report. The only business tool the Ink Business Unlimited℠ Credit Card offers are free employee credit cards. Read our full review of the SimplyCash Plus Business Credit Card from American Express. Are business-friendly spending categories rewarded with higher cash back? How many ways can cashback rewards be redeemed? Does the card come with intro purchase and balance transfer APRs? How many employee cards can you get and how much will they cost? What travel and purchase protections come with the card? Does it charge a foreign transaction fee? Both cards come with no annual fee. The Ink Business Unlimited℠ Credit Card comes with a flat cashback rate with no limits on what you can earn, but you don’t get higher rewards in categories important to businesses. The SimplyCash® Plus Business Credit Card from American Express does reward spending in popular business categories, but with a spending cap. Once it’s passed, rewards drop to a rate lower than what’s offered by the Ink Business Unlimited℠ Credit Card. This SimplyCash® Plus Business Credit Card from American Express card packs a pretty big punch when compared with the Ink Business Unlimited℠ Credit Card, thanks to its higher cashback rewards in key categories, better perks and great tools to help you manage your business. But the Ink Business Unlimited℠ Credit Card gives you more options in redeeming your cash back. If you want a card with unlimited cash back at a flat rate, flexible ways to redeem it and some travel and purchase perks, then go with the Ink Business Unlimited℠ Credit Card. But if you want the chance to earn higher rewards in key business categories, have access to more travel and purchase benefits and don’t mind plowing your cash back right into your business, then the SimplyCash® Plus Business Credit Card from American Express is the card for you. Read our roundup of the Best Small Business Credit Cards.